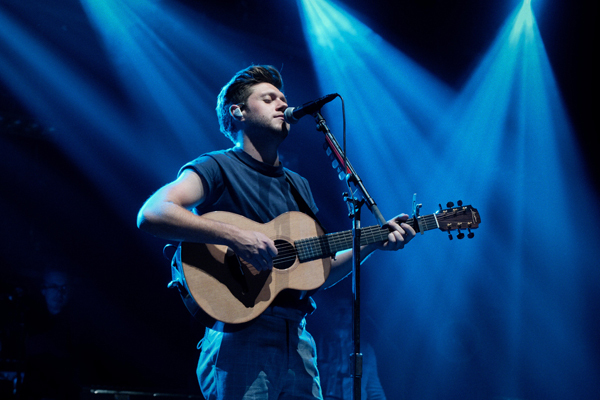 Review: Niall Horan - Spark Arena, June 2018. 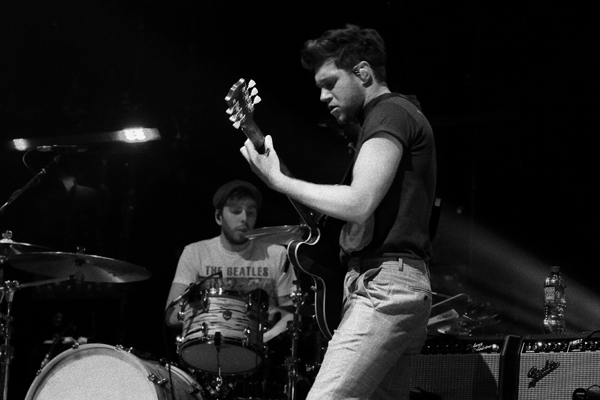 Flanked by five other band members, Niall Horan has never looked more at home on a stage - with a red Gibson electric guitar, midway through his latest single ‘On The Loose’, you can tell Horan is made for touring. He’s beginning the next part of his ‘Flicker’ World Tour in Auckland, New Zealand, a tour which has already taken him across Europe and the U.K., and after Australia will see him play Asia, South America, and North America, in a tour which will take up most of his 2018. But back to last night at Spark Arena, and a show filled with guitar solos, singalongs, live violin, Irish flags, and very enthusiastic fans - nothing less than what you’d expect from Horan’s debut solo show in New Zealand, and his first visit to our shores in five years, since all the way back in 2013 with One Direction. 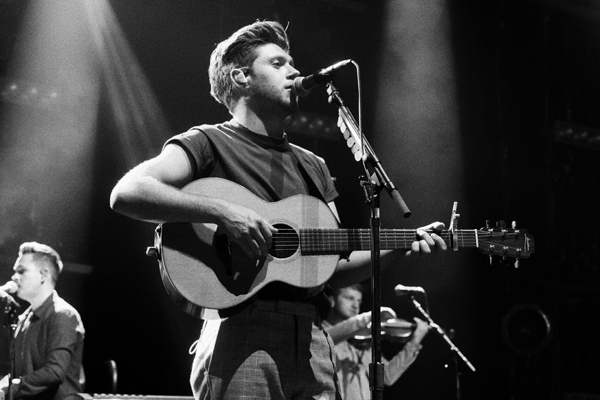 Since then, Horan has released his very first solo album, ‘Flicker’, which was brought to life last night in a live setting. 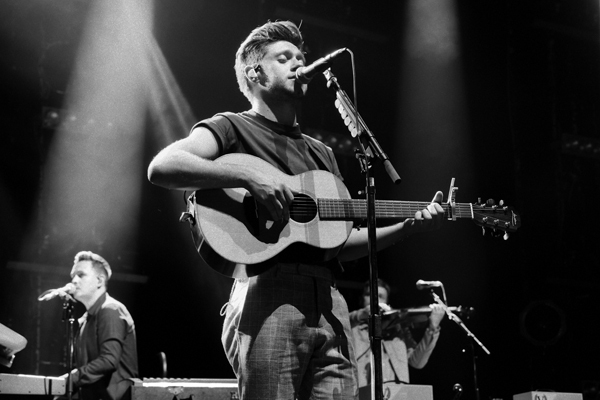 The show saw Horan perform all 10 songs (as well the the three bonus tracks from the album), alongside several covers, as well as ‘So Long’, an emotional piano-based song which didn’t make ‘Flicker’, but one that Horan still wanted to bring along on the road. “We finally made it back here!” exclaimed Horan, pausing after ‘The Tide’ to apologise for how long it had taken for him to return, and explained that it took him over 30 hours to fly to New Zealand, but he was sure it would be worth it. During ‘This Town’, a fan organised project saw the entire audience illuminate the Irish flag colours with their phone lights across the arena (which Horan thanked everyone for later), before the heartfelt ‘Paper Houses’ and ‘You And Me’ saw Horan truly showcase his lyrical talents from the album. After his first cover of the night - a folksy rendition of Bruce Springsteen’s ‘Dancing In The Dark’, Horan brought out opening act Maren Morris to perform their duet ‘Seeing Blind’, where their voices together live sounded just as good as on the record. 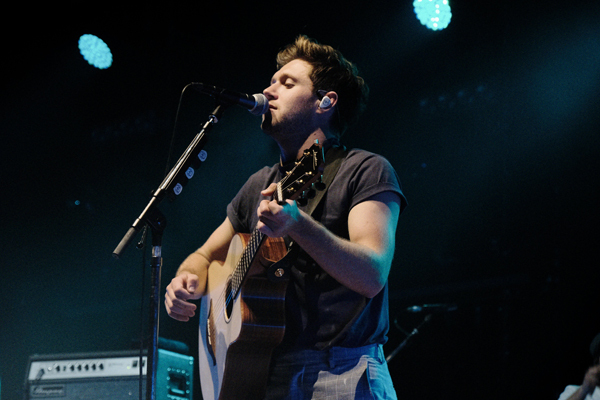 An acoustic rendition of ‘Fool’s Gold’ saw the audience in awe of Horan, and ‘Fire Away’ was an absolute set highlight - highlighting the total togetherness and musicianship of the live band. Returning to the stage, and donning an All Blacks jersey (it’s not a trip to New Zealand without one, right? ), Horan got everyone on their feet with a cover of One Direction’s ‘Drag Me Down’, followed swiftly by ‘Slow Hands’ as he confidently strode back and forth across the stage, before closing it out with ‘On My Own’. And with a promise to return soon, Horan left the stage for the evening, leaving a very satisfied audience who’ll no doubt be back for any future Horan tour. MusicWatch: Niall Horan perform ‘On The Loose’ on Sounds Like Friday Night.